Firefighters on the night shift at the Camp Fire in Northern California, November 2018. Inciweb photo. 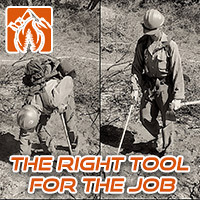 It has been a while since we wrote in detail about what in 2013 we first called the Holy Grail of Wildland Firefighter Safety. And, please don’t say this system that can save lives is not necessary, and that all we have to do is to tell firefighters to follow the 10 Standard Firefighting Orders or the other check lists. The Orders have been around for 62 years. Someone just saying “follow them” will not magically make it happen. That has been said millions of times in the last six decades and still, between 1990 and 2015, an average of 17 wildland firefighters were killed each year. Continuing to do the same thing while expecting different results is not realistic. I’m not saying the Orders should not be followed. They should be. But continually saying “follow them” has still resulted in too many fatalities. We need to do that, and a lot more. goTenna technology can and will save lives. I look forward to one day being their client once I become a FF. It is considerably lower cost than any other technology out there and seems to be a no brainer for many public safety applications. Regardless if there is cell coverage, this is more secure and more immediate than cell data without the risks of the cell network delays. There are many things that can go wrong by relying on the cell network and the internet in mission critical situations. 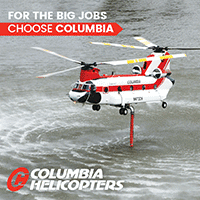 I AGREE during multijurisdiction fires this technology would be an added tool on top of the 10 and 18. Thanks Bill for keeping with it. Are the Aussies and Canuks using this technology? How do they avoid the fire deaths like we see in the states? I remember talking to a Canadian firefighter and his take was we send people places they would never go. Maybe we need to evaluate fundamentally how we fight fire. 1: How close is too close? 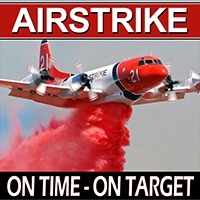 Imagine hearing Ops on Command “The fire is moving rapidly to Div A…” or “Plumas shots, your crewmembers are in jeopardy of being over-run”… What response does this elicit from the recipients? How is it interpreted? Will it be received the same way an IMET or FBAN continually announces at 2 pm to watch out for extreme fire behavior every other day then never develops? Will it be the boy who cries wolf? 2: How does an Ops or Plans or Safety person interpret distance between the fire and distance between the resource? In steep country, in flat land, the screen shows 2D and only a bright white spot where the fireline is. 3. How do you communicate the critical information the OPS, PLANS or Safety is seeing and pass it to the appropriate unit and his/her supervisor? How does that person interpret the intel and demonstrate leadership by making decisions knowing they are being watched? An experienced hotshot sup will watch as he/she sits back after an “imminent blowup” that turns out to be no big deal, and then adjust the size of the “grain of salt” that he/she takes with subsequent emergency messages from the person manning the screen. 4. My last point is the most heartless: I apologize in advance: The true value of the “eye in the sky” system will be to the people sitting in Air Conditioned tents or trailers who can finally get a chance to relive the glory days by directing the footsteps of their younger and more agile counterparts. Each action will be recorded and the mis-steps analyzed both in the classroom and the court room. Finally, when things go wrong just like in the posts just after this, Investigators will be able to see a recorded narrative of events with a god’s eye view as they played out and ask themselves how could this new tragedy have been prevented? I think a system as Bill describes is valuable for battlefield operations and critical security surveillance because the enemy is unpredictable and irrational the opposite of wildland fire) and the recordings are protected and not made public. I think the system as described will yield benefits to “arm-chair” safety officers, ops and accident investigators who want actual footage of fireline accidents. P.s., I dont know it all, but I have heard that it is a very thin coin that does not have another side. I’ll offer a non firefighter counterpoint. My experience is in military systems and networks. I heard the same kind of concerns about micro management and arm chair supervision when we were putting network requirements together for military systems. The concerns largely did not pan out. Training and professionalism are the answer. The problems you describe are largely the result of a “top down” command system and a “top down” information flow architecture. If time critical information is collected centrally and then later disseminated down the chain of command based on higher up decisions, you’re right. It won’t work. If the “Holy Grail” information Bill describes was available on a network accessed by all individuals and units, everyone sees the same picture, then the leaders who are on scene in the field can make timely decisions and take timely necessary actions without waiting for “top down” information. This is a “bottom up” organizational concept and a common network where everyone has access to the same common operating picture. You don’t have to wait for someone higher up to look at a screen and decide to pass you the information. It is available locally. I can’t condense 30 years of experience with network and command and control systems in this comment section but my observation is that more networking is better than less networking. Tying all the brains of any outfit together with common information and good C3 always produces better operational results. As far as the distinction between battlefields and wildland fire, judging from all the major wildfires around my area over the last 30 years, local civilian deaths from entrapment, and two personal requirements to evacuate, I don’t think wildfires are very predictable either. Will this “tracking” device squelch the decision making process of engaging when folks are being encouraged or pressured to engage due to cultural demands and the associated human factors that take place in most entrapments and fatalities? Remember that most of the “leaders” monitoring such “holy grails” are also the ones placing lines on a map and blessing such tactics and strategies that are often aligned with these tragic events. If you do not trust your leaders, there are bigger problems to solve than network use issues. I think this is a good idea. But I would expect that the development of such a desirable technology will take much longer and be much more expensive than you suspect. I’d also suspect a very long teething period where the whole firefighting organization, from ICs to crew bosses to individual firefighters learn how to use that new technology, when to trust it and what its limitations are. 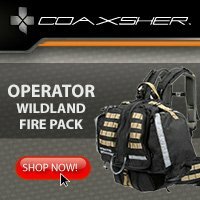 For this program to be successful, there needs to be a large cadre within the wildland firefighting world passionately advocating for the required development of this technology and to help us get over the inevitable setbacks. Your infrared-camera-in-a-drone idea is a very good one, but the current limitations of the state of the art are daunting. A very popular thermal camera for drone applications is the FLIR Vue Pro, which costs over $3000 and has a resolution of 640×512 pixels. At that resolution if the camera is 5000 feet above ground level an individual firefighter will be about 1 pixel square. Given the fact that we would be attempting to detect a very small warm object (a firefighter) very close to a possibly very large and very hot object (a fire) I question the feasibility of using such a camera to detect firefighters in an active fire situation. Higher resolution cameras are available, but they are much more expensive, much heavier, and have much larger power budgets as well — all of which necessitates a larger, heavier, and more expensive drone aircraft. And we’d need thousands of drone aircraft to cover an active fire season (plus downtime for maintenance and servicing of the drones, &c). Depending on the endurance and service requirements of the drone aircraft, you might need tens of thousands of them. Which implies a very large organization within the fire bureaucracy dedicated to servicing, deploying, and operating them. It is hard to imagine developing and deploying such a technology at scale for less than a billion dollars. “Tens of thousands” of drones. Haha. The primary use of the visual and infrared camera would be to detect the fire. Personnel and equipment would be tracked using hardware carried by the resources, transmitting their locations at regular intervals. 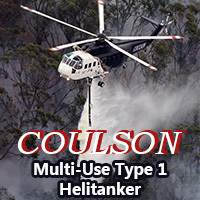 Such as this equipment being used today on a fire in New South Wales. At the 45-second mark the video switches from visual or IR. Correct me if I’m wrong but I think the purpose of a drone with infrared camera is not meant to track firefighters, rather, it’s meant to track the fire. Firefighters would be tracked by GPS functions built into their radios or other device. Combined IR, geospatial, and GPS data would tell you where firefighters are in relation to the fire front. Very good article Bill and great points, Technology cannot solve everything but it can sure help. We also need to start using a much better coordinate system which already exists in the US National Grid system, as Al discussed above. There are big issues with lat/long which have created some real snafus. There are real communications issues with fire behavior observations getting shared between Divisions and with planning section folks and it’s gotten worse over the years. Orbiting drones could be of big help. Fire Orders and personal safety is what I rely on (with the second priority being responsible for my crew). Although I think this idea may be beneficial to a certain extent, everyone is responsible for their own safety. 3. Base all actions on current and expected behavior of the fire. Basic FFT1 training tells us to know where your crew is at all times. I think calling this kind of technology the “Holy Grail” may make some think of it as a panacea, of course, there is no such thing. Knowing what the fire is doing is and where your people are is basic and critical information. How ’bout calling it BIFFS (Basic Information for Firefighter Safety). As a OSC2 and ICT3 on an active BLM district, this type of technology would be better suited in an emerging incident, 5,000 acres before I can even get there, type of fire. But it’s not the 5 agency trucks I worry about, it’s the 20+ VFD, RFPA, and other non producers they bring that I worry about. So therefore this type of technology would be useless in that situation. As a OSC2 who has had a scan eagle UAS on incident, it was neat, but guess where that big flat screen TV was setup… ICP. Guess where I was able to gather real SA… the field. Bridging that gap could aid as an additional tool, but I argue it’s not THE end all, holy grail. THANK YOU Mouth Breather and Bean…..from a pair of boots that are STILL on the ground!!!!! !